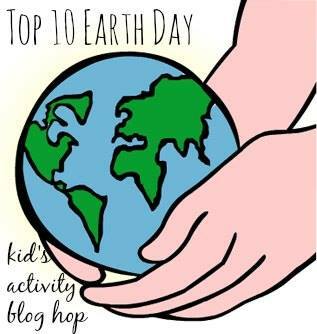 In anticipation of Earth Day (and a deliciously fruitful spring and summer) I thought it fitting that we celebrate some of the creatures who make it all possible. Imagine how hard it would be to get things growing, if you had to do all of the pollinating yourself? Yikes. 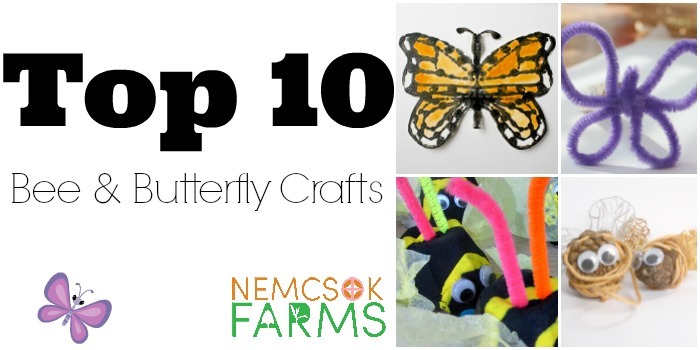 Here are the Top Ten Bee and Butterfly crafts to celebrate Earth Day, and they are perfect for introducing big topics like environmental awareness to little ones, and to fuel their interest in gardening, growing things, and caring for the earth. I can not think of bees without thinking of Winnie the Pooh and the Honey Tree. You know, where he rolls in the mud, and borrows Christopher Robin’s umbrella – all because he has run out of honey? What would we have to do, if collectively, we all ran out of honey? 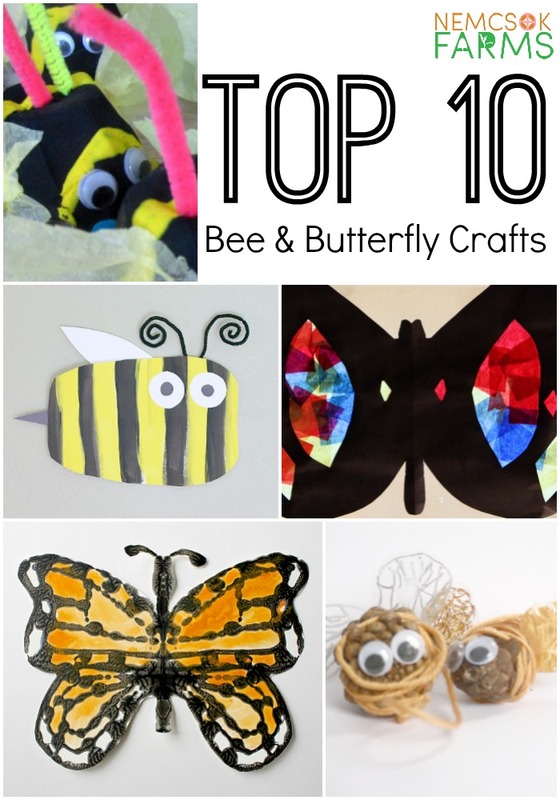 So here is a collection of my favourite bee and butterfly crafts!